If you are jonesing to play a retro arcade style co-op shooter, Blazing Badger has you covered. January 29th will see the release of AIPD (Artificial Intelligence Police Department), a high energy arcade game with bright, neon graphics and a soundtrack that will get your blood pumping. Utilize a completely customizable cyber ship in cyber space to take out cyber criminals. While the game play looks similar to the classic Asteroids, there is more depth to the game than initially meets the eye. You have the ability to completely modify your ship and even the game mechanics to keep things interesting. Grab three friends for up to four player local co-op on a single screen. Channel the voice of Kevin Flynn as you shoot your way through this TRON inspired landscape. 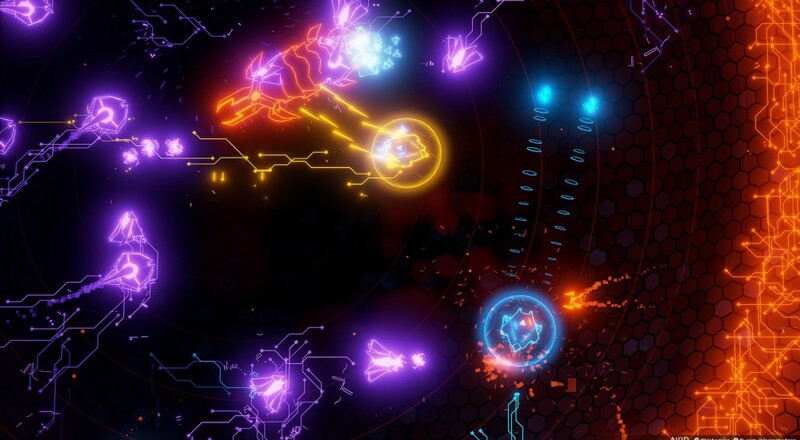 From the short trailer and screen caps, the game gives off a Geometry Wars vibe, and will similarly tout online leader boards for you to compare your skills. Blazing Badger won't be held responsible for any self esteem issues this may cause. The Unreal 4 Engine allows for gorgeous 60 FPS play, although staring at all that neon and flashing lights may cause a headache. After the expensive holiday season, this title won't be too hard on your gaming budget. Download this title for $9.99 on PC, PS4, and Xbox One. Page created in 0.9905 seconds.